Are you having roofing problems? Whether you are worried your home’s roof is too old to perform its job properly or your shop’s roof is leaking, you should not put off finding the solution. Old homes often have old roofs, so if your house has stood for decades now, chances are that your roofing is asking for a replacement. Leaks are a sign that there’s a problem with your roofing. Before it worsens and causes property damage, it might be a good idea to replace it now. Whether it’s a residential or a commercial property in Stouffville that needs new roofing, Dillon Bros. Roofing can take care of it. We are known by homeowners and business owners alike for our outstanding services and high quality roofing products. Each member of our team has gone through the most rigorous roofing and safety training in Canada to ensure you get the finest quality of roofing service as well. Since we started in 1998, our family owned and operated roofing company has been committed to providing customers with the best services at the fairest prices. We serve Toronto, York, and the Durham regions. Countless customers in these areas have experienced the “Dillon Bros. difference”. You should, too! Our team of experts in Stouffville offers various services including installation of roofing, skylight, and sun tunnels, gutter clean system, and aluminum and vinyl siding. We also handle eaves trough cleaning, and snow removal. You also have to decide the type of roofing you want for your Stouffville home. We understand it can be quite confusing, especially if you do not have sufficient knowledge about roofs. Dillon Bros. Roofing is always ready to answer your queries and we’ll be happy to give you a comprehensive comparison of the types of material available to you and even help you choose the right one for your residential or commercial property. Canadians love shingle roofs, and it’s easy to see why. This type of roofing has all the characteristics one could want. First of all, it can withstand harsh weather conditions. It is amazingly durable and relatively low-cost. Of course, it looks incredible in all the different colours it comes in. Dillon Bros. Roofing’s team is certified to install top notch shingles like BP, GAF, and IKO. They come in warranties between 25 years to a lifetime. A flat roof is easier to clean compared to other options. It is also safer because you wouldn’t fall off a flat roof easily. Dillon Bros. Roofing offers traditional 2-ply modified bitumen and modern single-ply TPO and EDPM systems. Our highly-trained Stouffville roofers are licensed to perform installations of CARLISLE, FIRESTONE, IKO, and SOPREMA roofing products. 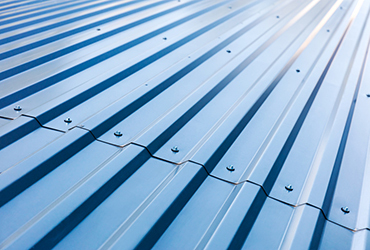 If you look for an environmentally-friendly option, metal roofing may be for you. Aside from that “green” factor, it is also lightweight and low-maintenance. We can provide you with the 3-foot interlocking Katola system or a full-length panel roofs in profiles like standing seam panels that are from STEEL TILE ROOFING. 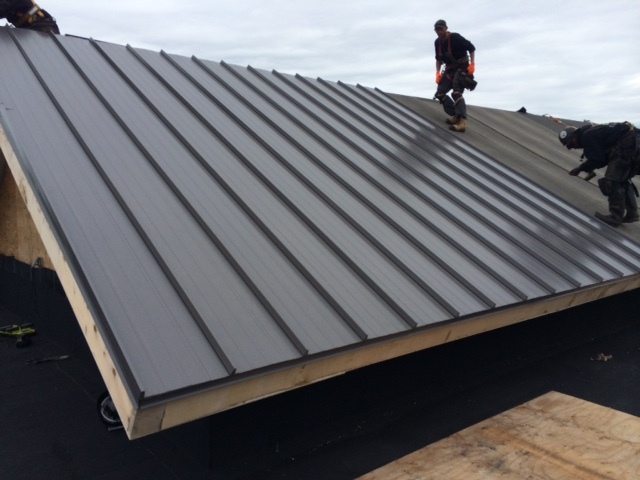 If you want metal roofing in shingle type, we can install BUCHNER ALUMINUM SHINGLE for you. You can choose from a variety of trims and colours available to you. Are you looking for natural Cedar shakes and shingles? 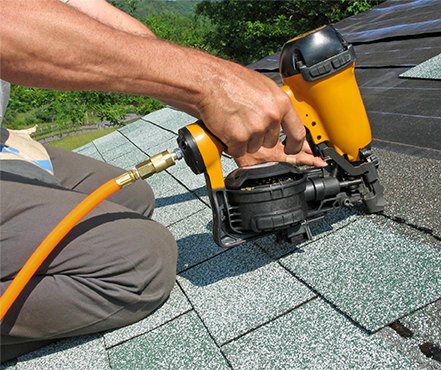 Dillon Bros. Roofing can install hand-split and taper-sawn shakes for you. We are also certified installers of Enviroshake premium roofing products. Velux and Artistic Skylight Domes skylights and sun tunnels are just the perfect solutions for areas in your home that need natural lighting more. They also provide additional ventilation and an easier roof access. If you want to have one, you don’t have to go elsewhere because we can install it for you! These are just some of the roofing materials and other products that we have for you. If you have any questions about these products or the services we offer, do not hesitate to contact us. You can call us anytime, and our experts can answer your queries and give you our honest opinion as to which of these products fit your needs and your home most!